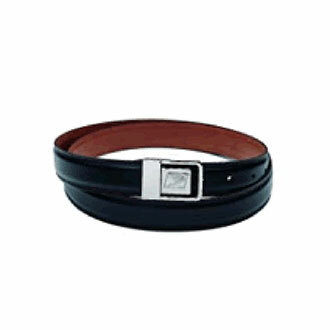 Black 1 1/4" leather belt with silver eagle buckle. One size for 28-42 - Cut to fit. Window Clerks only. Only Window Clerks are authorized to purchase this belt.